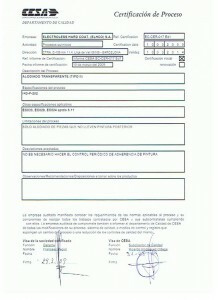 Recognition and accreditation of services listed www.eauditnet.com. 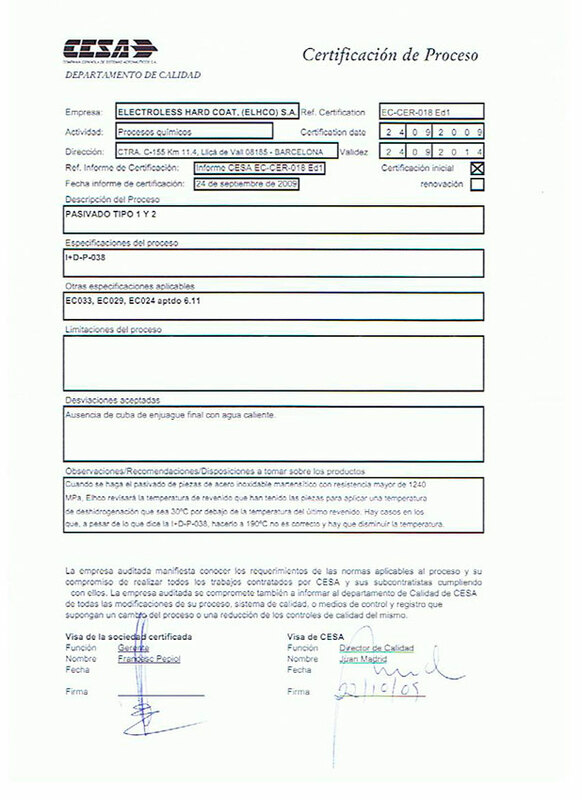 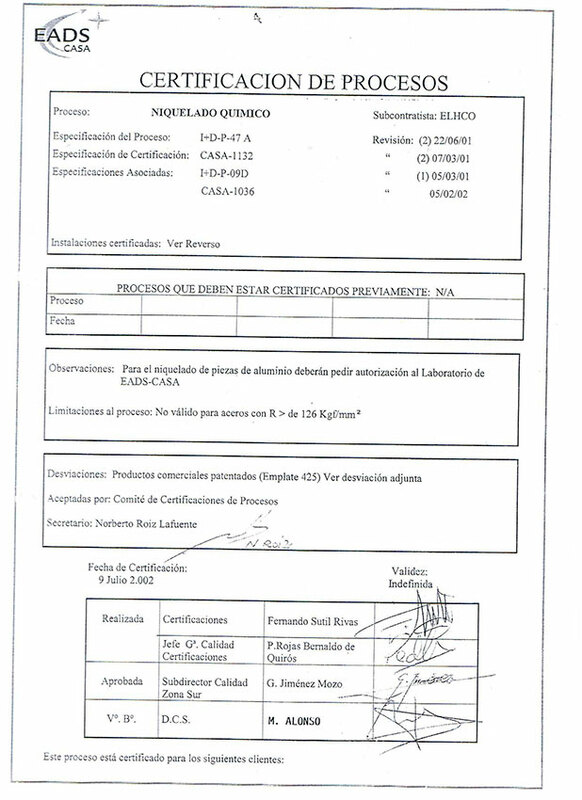 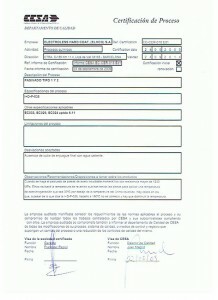 Certification by “Compañía Española de Sistemas Aeronáuticos (C.E.S.A. 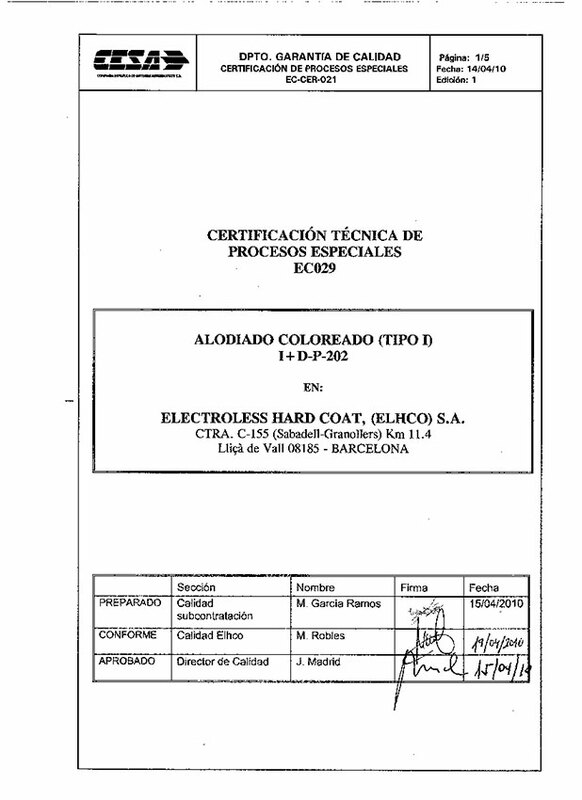 )” for chemical conversion coatings type 1 – coloured, according to I+D-P-202 specification. 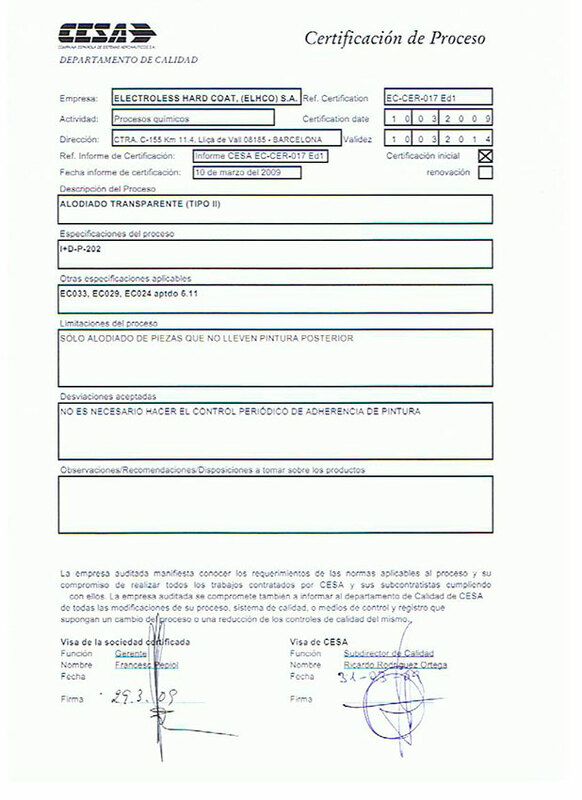 Certification by “Compañía Española de Sistemas Aeronáuticos (C.E.S.A. 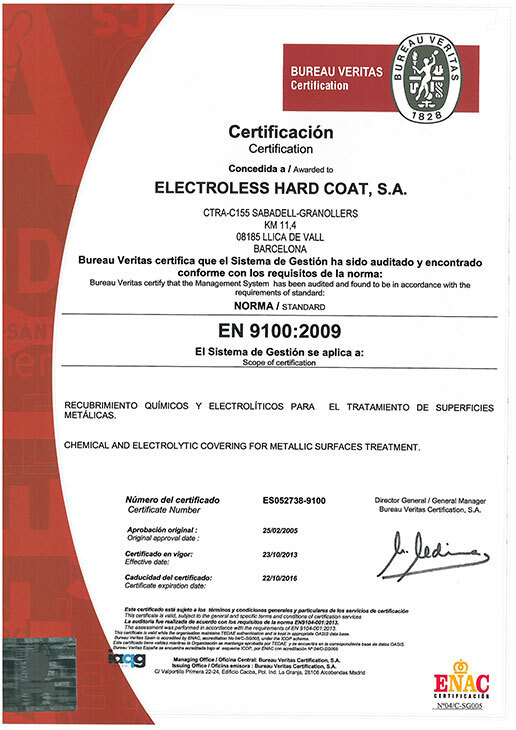 )” for chemical conversion coatings type 2 – transparent, according to I+D-P-202 specification. 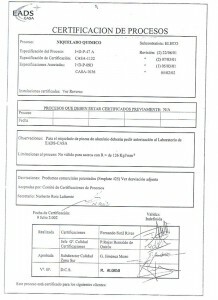 Certification by “Compañía Española de Sistemas Aeronáuticos (C.E.S.A. 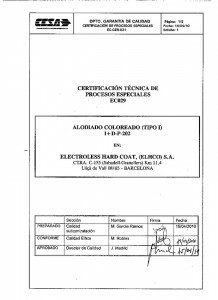 )” for Passivation type 1 and 2, according to I+D-P-038 specification. 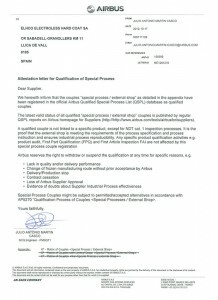 Certification by “Airbus Military – EADS” for Electroless Nickel-Phosphorus, according to I+D-P-047 specification. 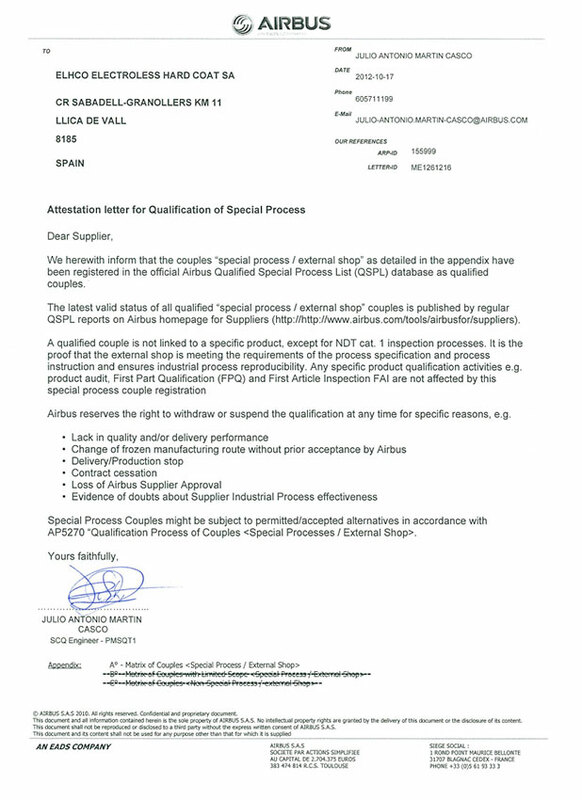 Certification by “Airbus– EADS” for Passivation of Steels, according to AIPS/AIPI 02-05-005. 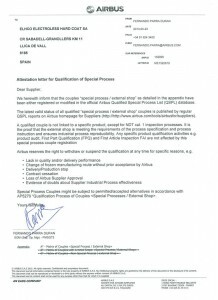 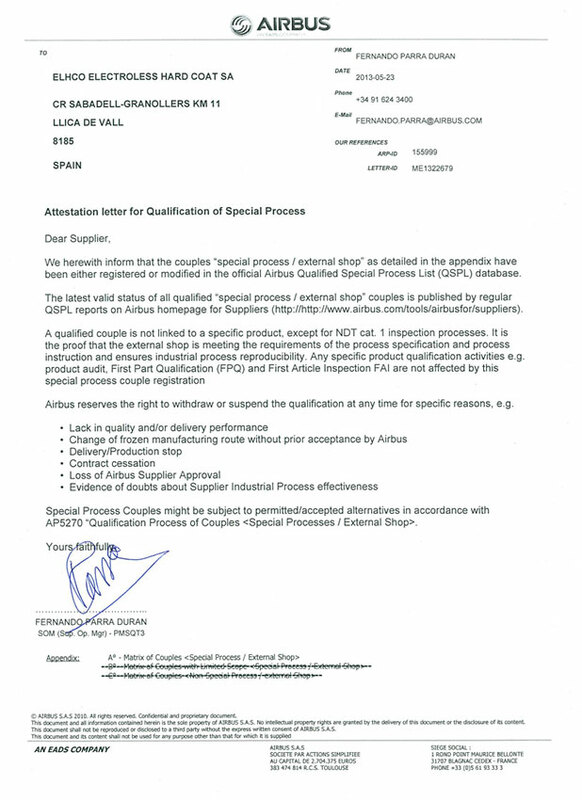 Certification by “Airbus– EADS” for Zinc-Nickel process, according to AIPS 02-04-006. 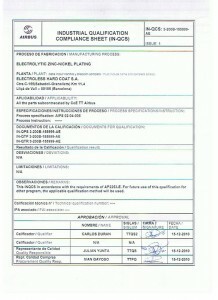 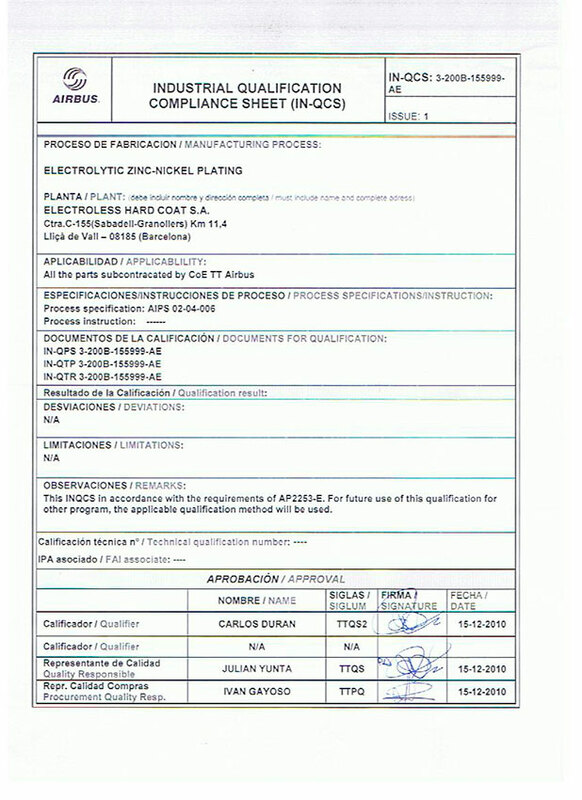 Certification by “Airbus– EADS” for Electroless Nickel-Phosphorus process, according to AIPS 02-04-008 and Electroless Nickel-Phosphorus-Teflon, according to AIPS 02-04-011. 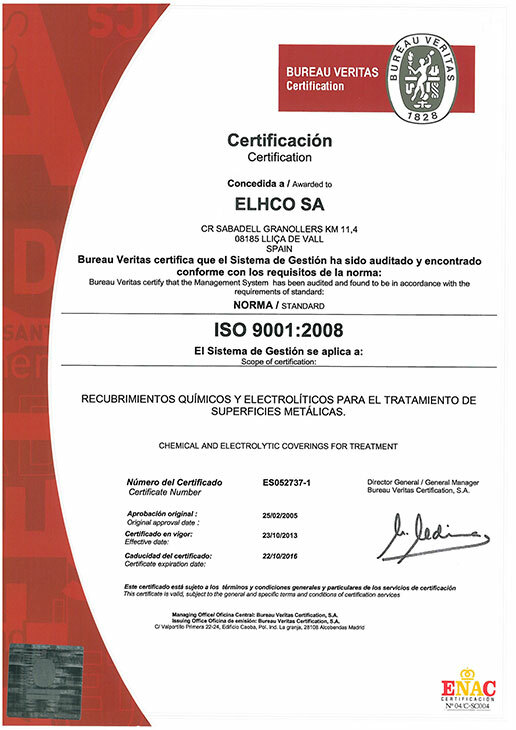 Certification by “Bureau Veritas” for Chemical (Electroless) and Electrolytic processes for the Treatment of Metallic Surfaces.